After spending quite a bit of time in the studio and out at Art Festivals throughout Arizona, Texas and Oklahoma, I am ready to get back into my studio and create more artwork! 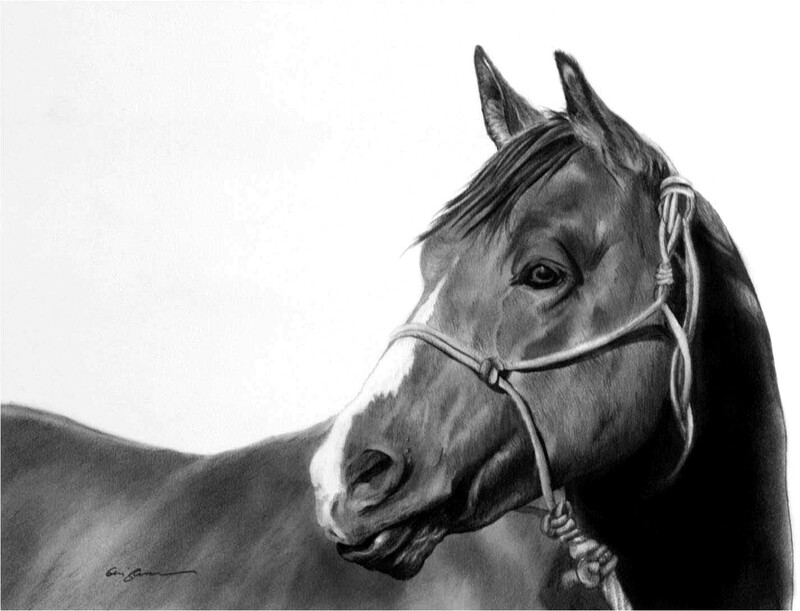 For the second half of the year, I am super excited about 3 pieces of artwork that have been accepted into “America’s Horse in Art” Show & Sale at the American Quarter Horse Hall of Fame & Museum in Amarillo, Texas. Opening Reception Night is August 16, 2014 and promises to be a blast. Along with the top drawing, here are the other two pieces of artwork accepted to this wonderful event. While doing research on wild mustangs, I wondered if there are still wild mustangs alive and present in Texas. All of my previous research had confirmed that the wild mustangs originated from bloodstock imported from the Iberian Peninsula. 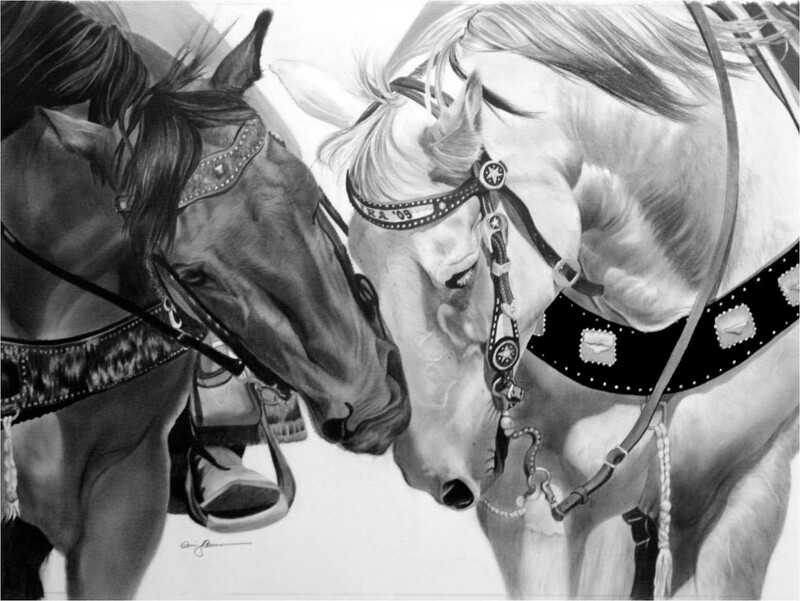 Horses brought by the Spanish included the Ginete, Arabian, Villano, Berber, and Barb bloodlines. Very few wild herds today possess original Spanish blood. 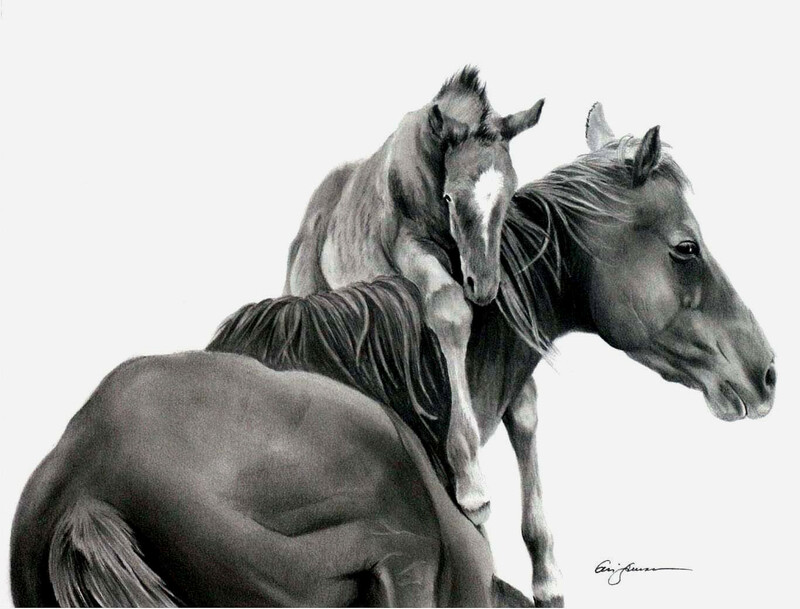 The first American Indian horses were bred from stock acquired from the herds of the Spanish missions beginning in the early 1600s. The missions were the source of cattle as well as foundation herds of Spanish mustangs. The Spanish mustang stands from thirteen to fifteen hands tall and weighs 750 to 1,000 pounds. There are three different types: one lighter-bodied and slightly leggy like its Barb ancestors, one heavier and more blocky like the Spanish Ginete, and one that resembles a small Andalusian. The eyes are large and bright, and some mustangs have heavy bone protruding over the eyes. The head profile may be straight, dish-faced, or convex. The chest is medium to somewhat narrow, with the ribs well-sprung; the back is short and stout. The hooves are small, often narrow with a pointed toe, and of a harder texture than hooves of most domestic horses. The many remarkable qualities of the Spanish mustang, particularly its endurance, made it the horse of choice for most frontiersmen and cowboys. 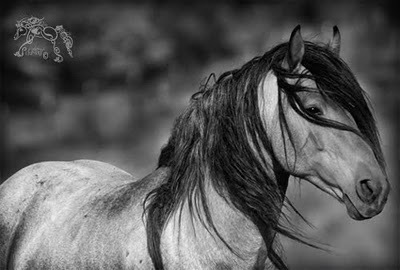 Many ranchers and horse breeders chose to use the Spanish mustang to weave these characteristics into their herds, unfortunately dilluting the best characteristics of the breed. Fewer than 3,000 purebred Spanish mustangs are left today. At the close of the twentieth century some of the strongest efforts to restore the Spanish mustang were centered in Texas, including the American Indian Horse Registry, headquartered in Lockhart, and the efforts of private ranches such as Karma Farms near Marshall, Blazing Saddles Ranch in Winona, and Las Remudas in Odessa.